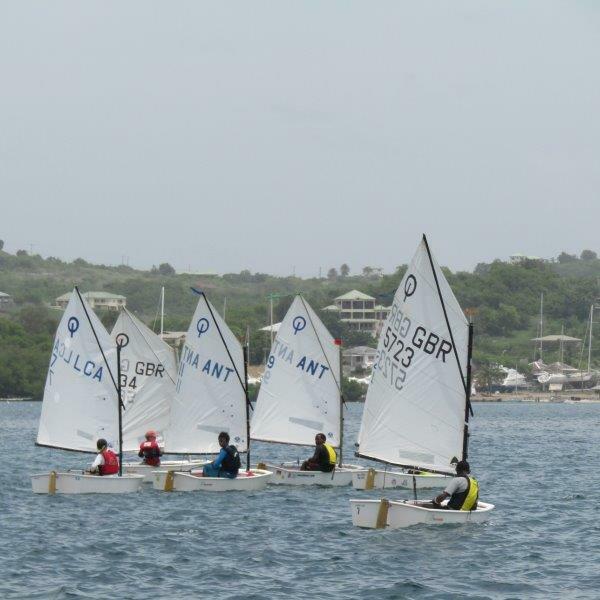 The 5th Annual Barts Bash took place on Sunday 16th September at sailing venues around the world. 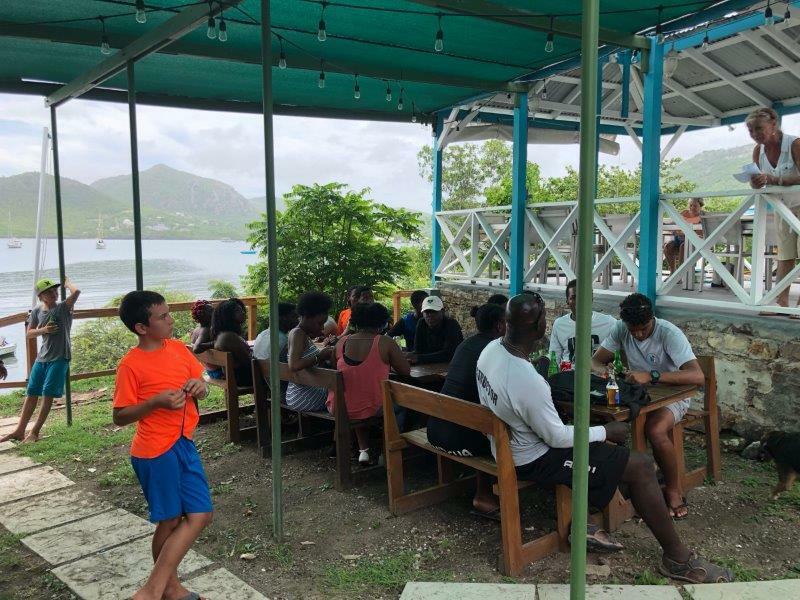 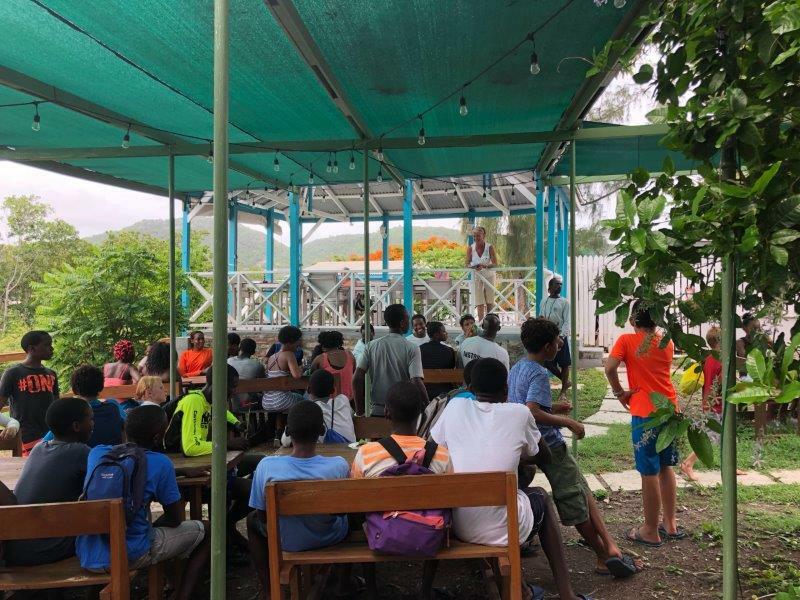 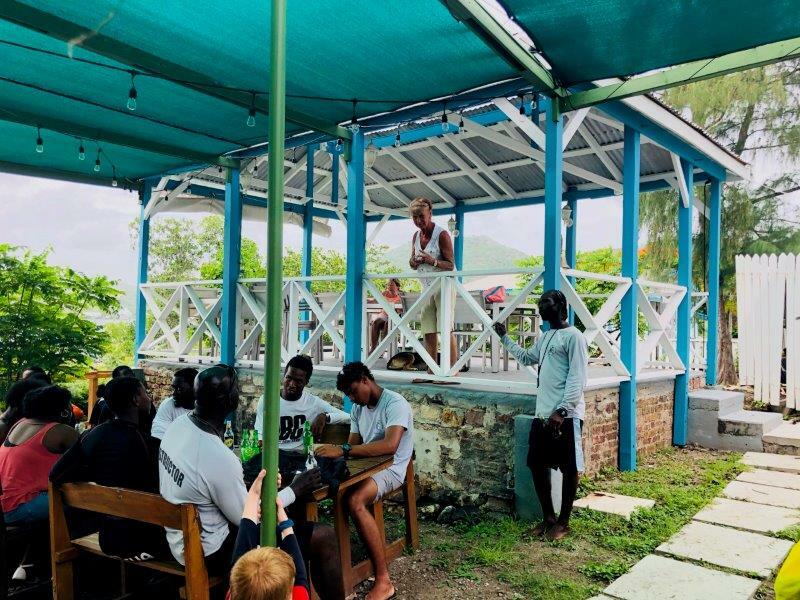 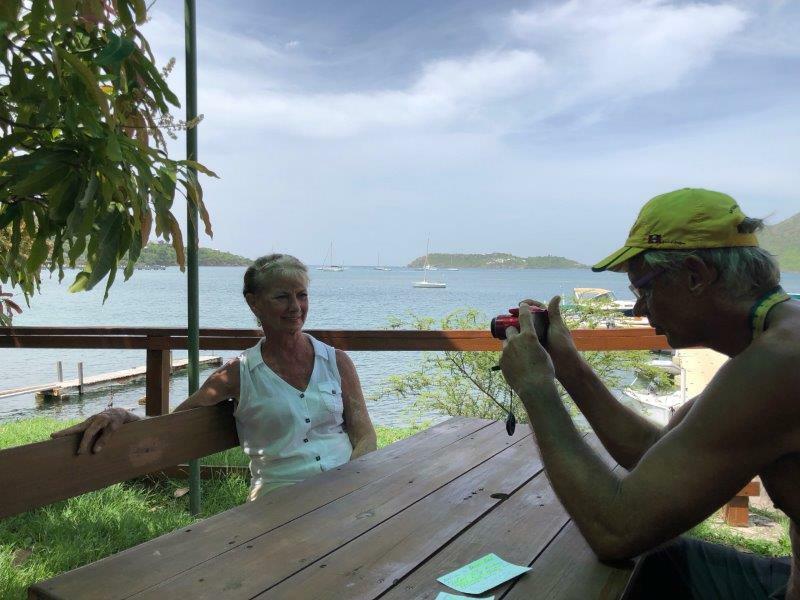 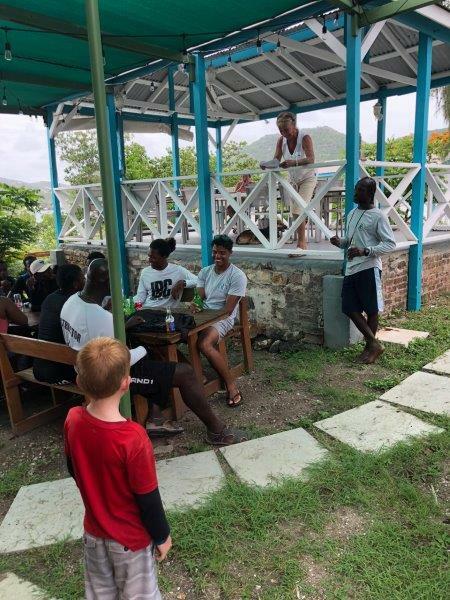 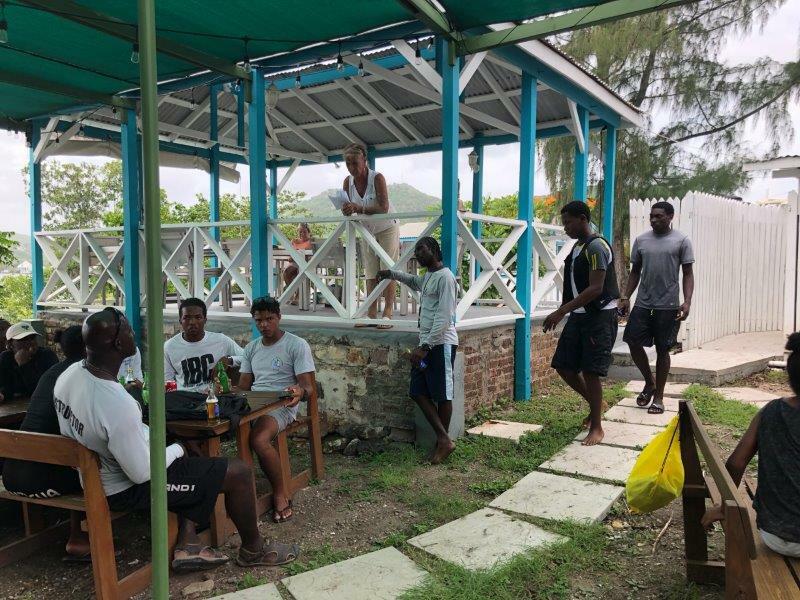 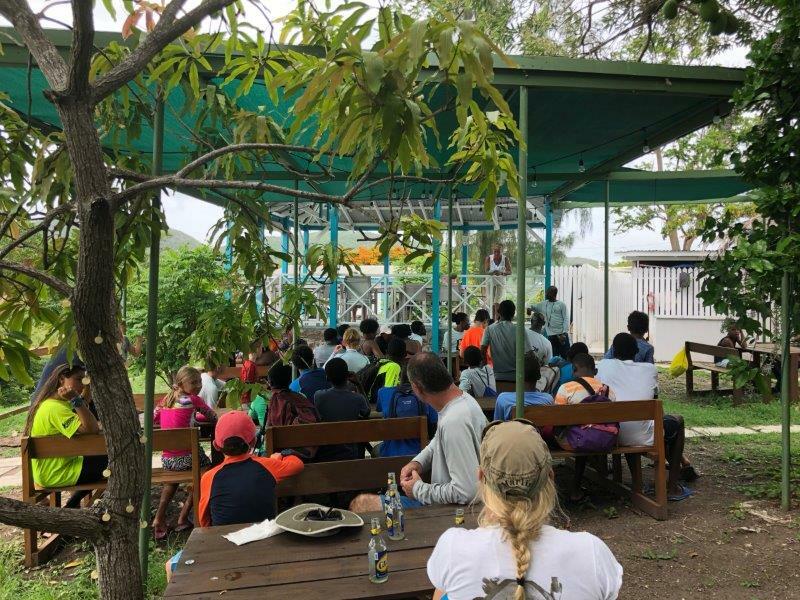 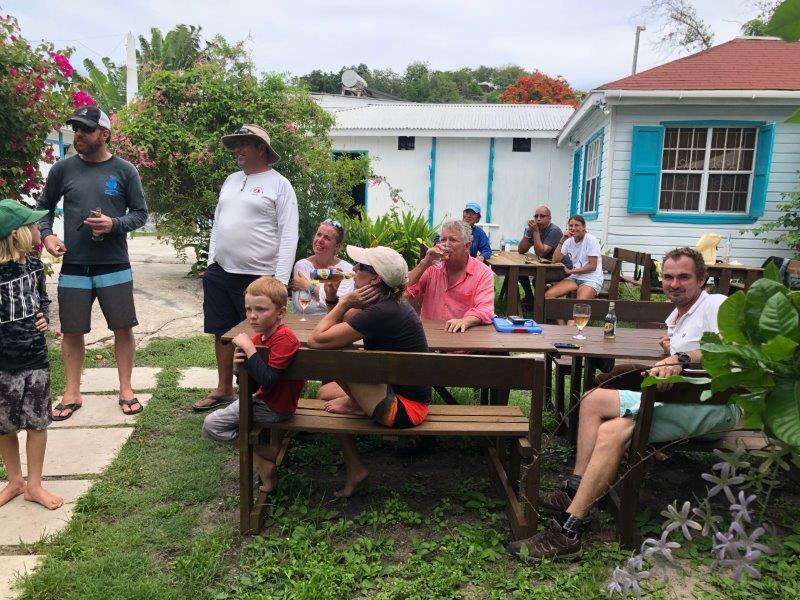 In Antigua sailors from around the island convened at Antigua Yacht Club for a 9am skippers briefing given by Race Officer Steve Spanis and assistant Rhone Kirby. 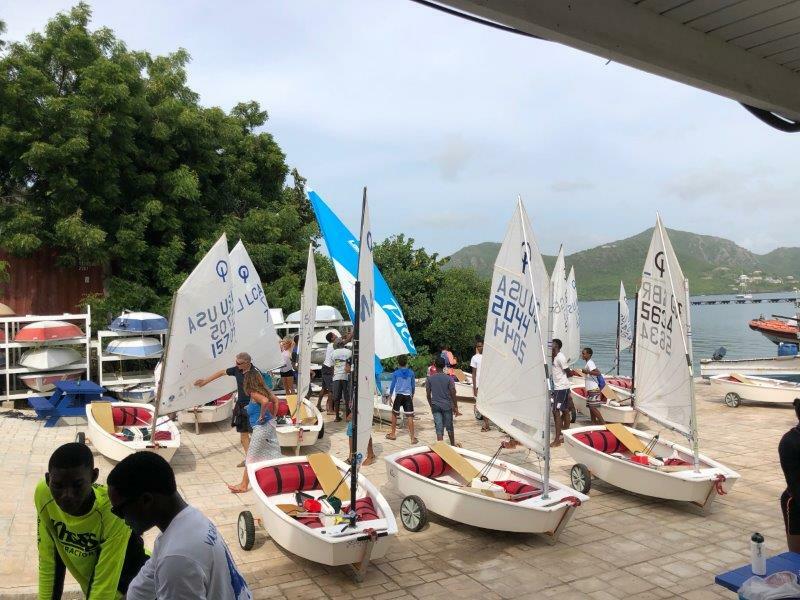 A total of five classes: Laser; RS Feva;, RS Venture; RS Quba and Optimist then headed out from the Yacht Club and the National Sailing Academy to race in Falmouth Harbour. 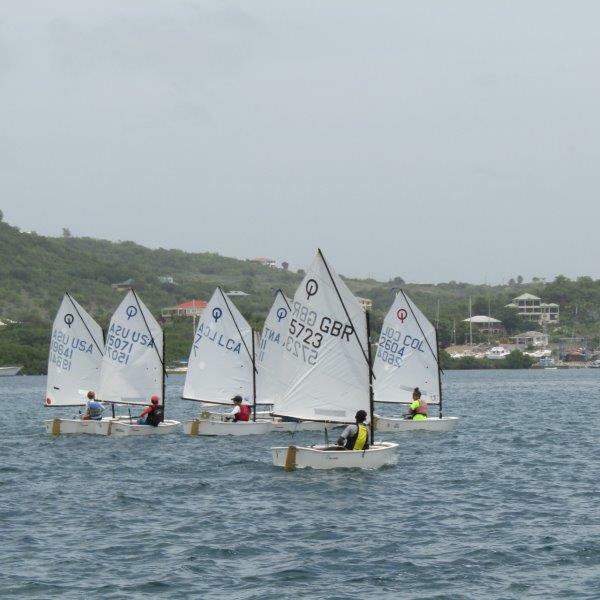 Following a couple of practice races in relatively light winds start sequences began for the 11am kick off. 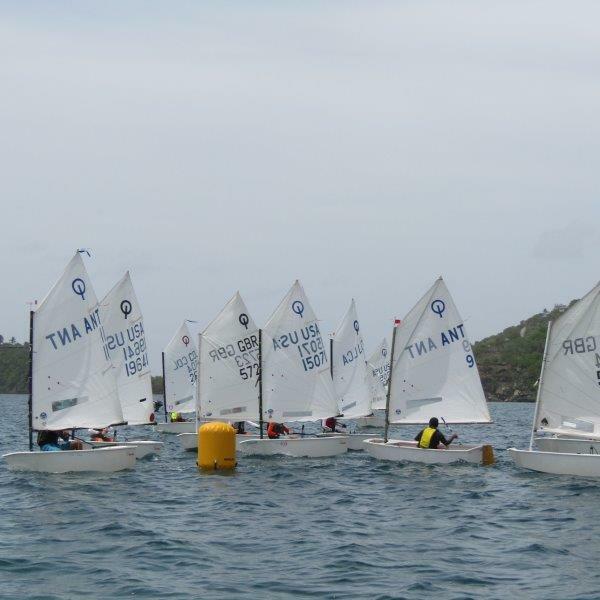 All boats raced over the 1km course. 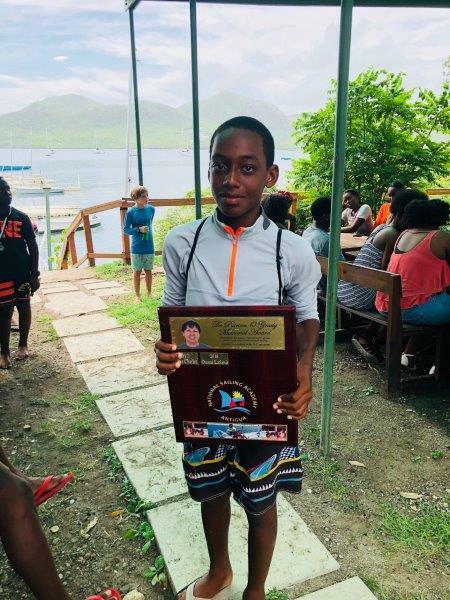 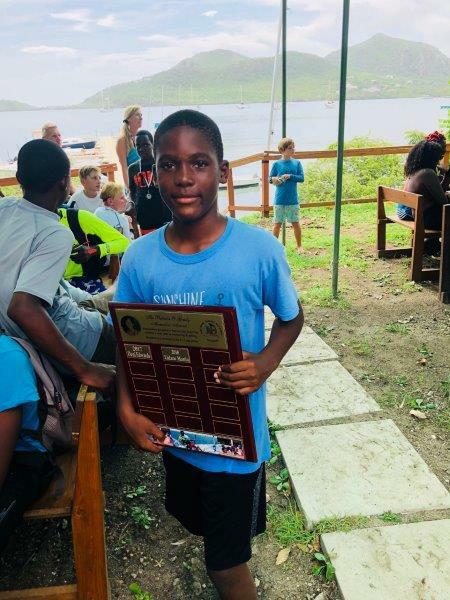 Class winners were Jules Mitchell in Laser, Morrison Valentine and Zenworth Daly in RS Fevas, Tanner and Cheri Jones in Rs Ventures, Jakheem Warren in RS Qubas and Maurice Belgrave in Optimists. 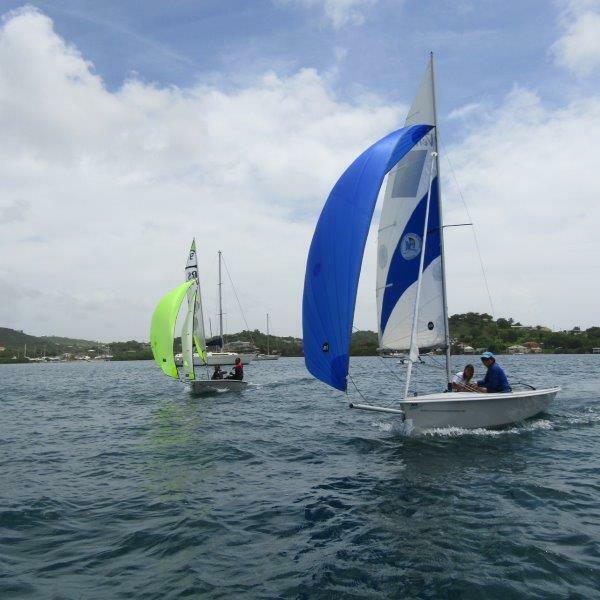 In addition two sailors won the junior and senior Patricia O’Grady Award for Effort and Attitude. 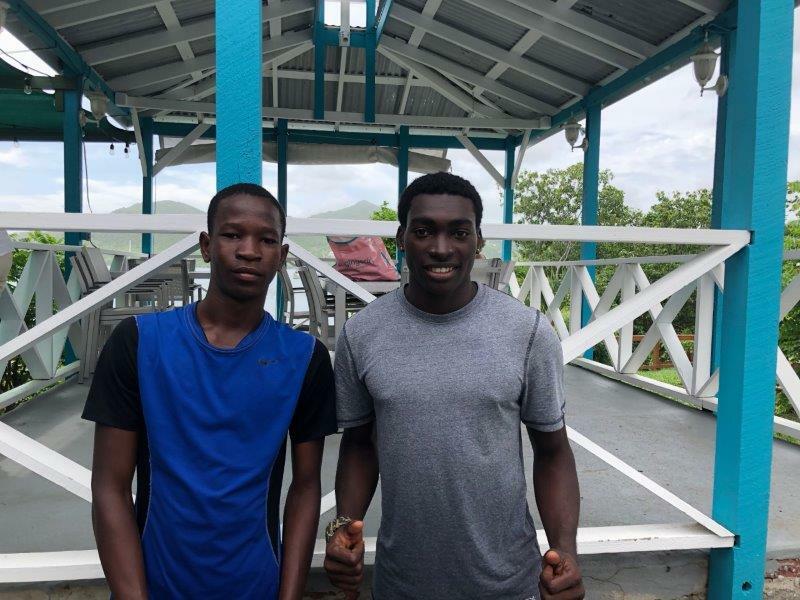 The junior winner was Zidane Martin and the senior winner was Ozani Lafond. 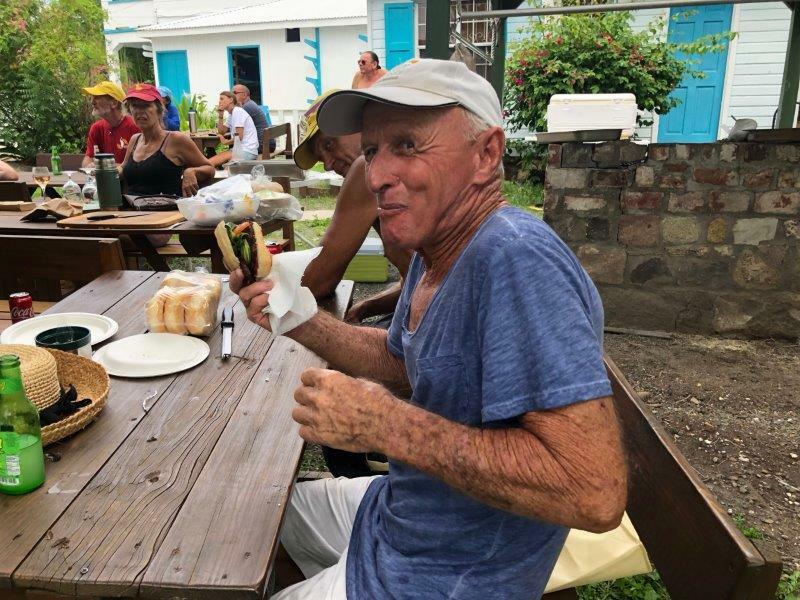 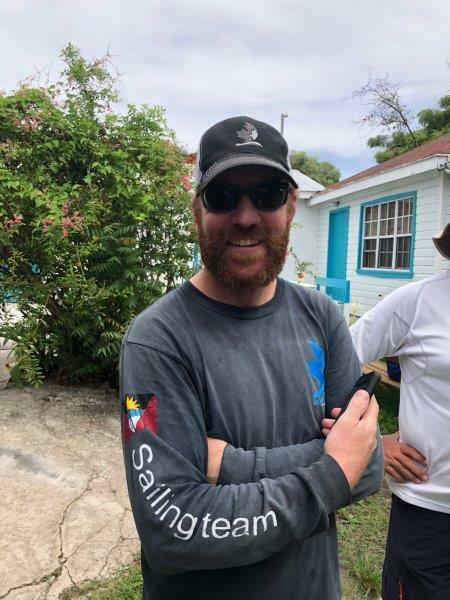 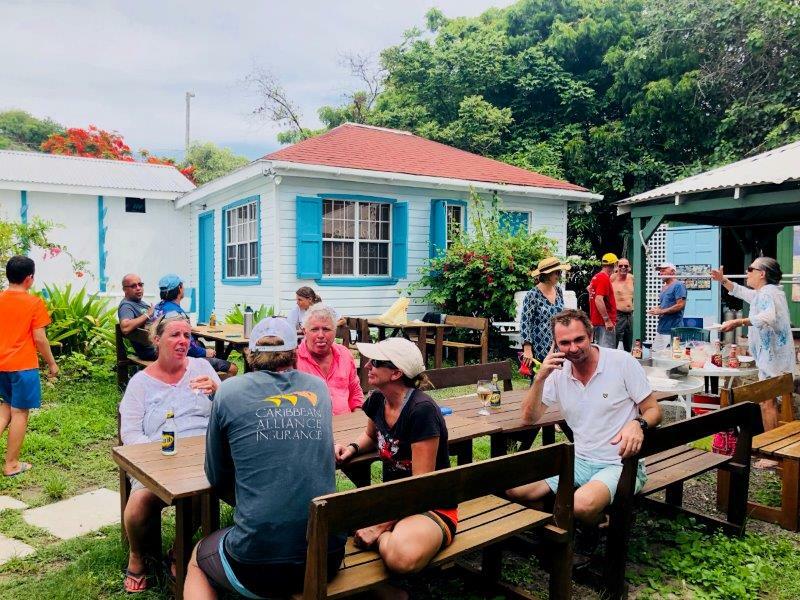 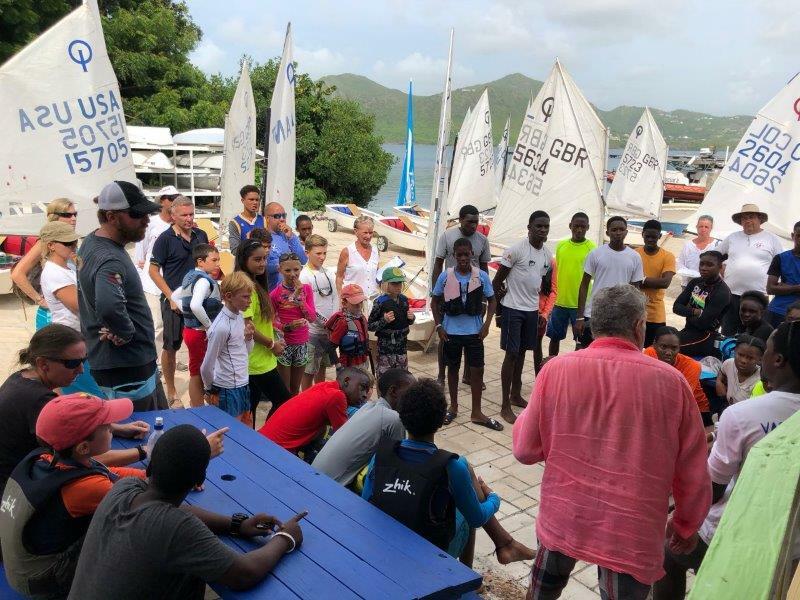 A total of 45 sailors in 35 boats were racing which meant that the Antigua event will be included in the World Record attempt for the most boats to race in multiple venues across the world on the same day. 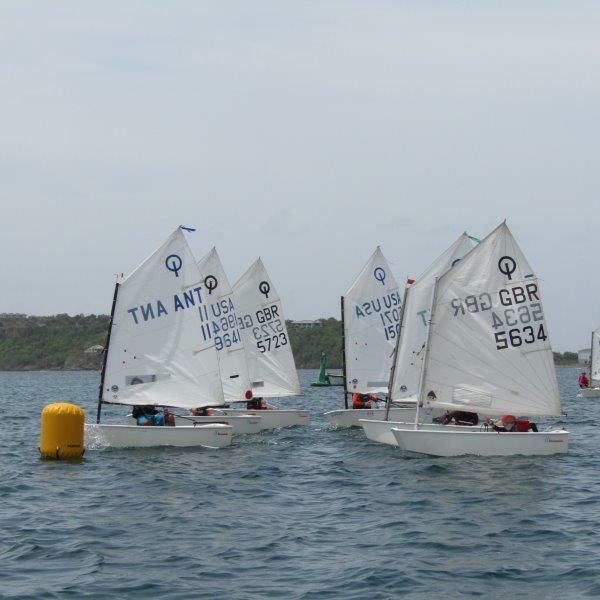 The youngest sailor was 7 (seven) year old Tyden Jones and the oldest (age not disclosed) was Bernie Wong. 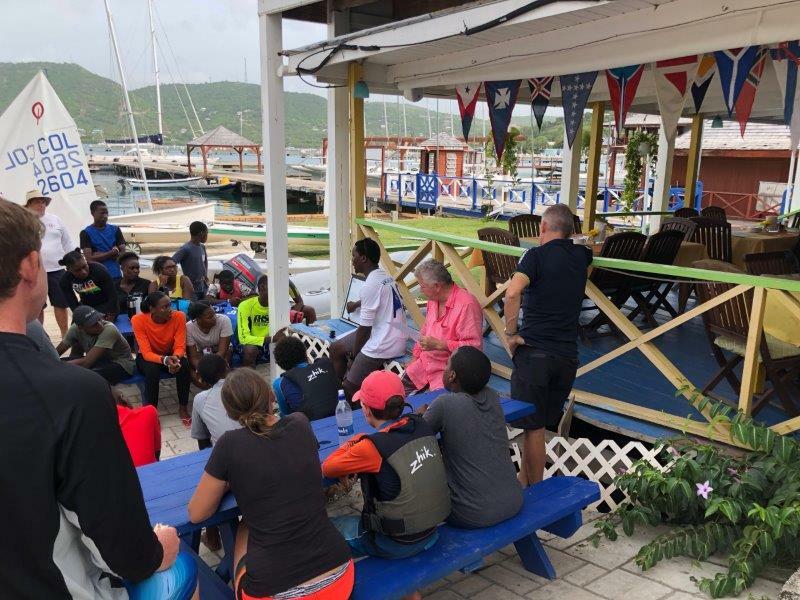 In his post-race interview Bernie, who is better known for racing RP37 Taz at all the major Caribbean regattas each year on Taz said of the event, “I felt that that the sport was dying and that its been really difficult to get people participating, but it was really heartwarming to see the enthusiasm and see so many young sailors on the race course. 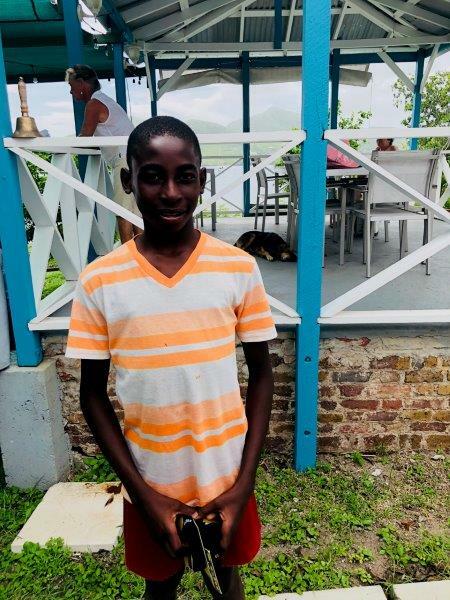 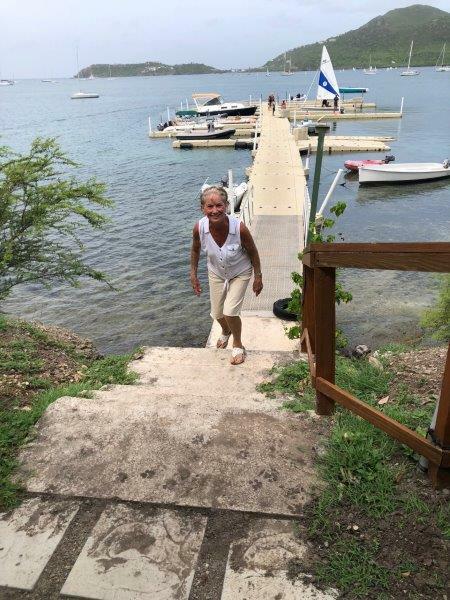 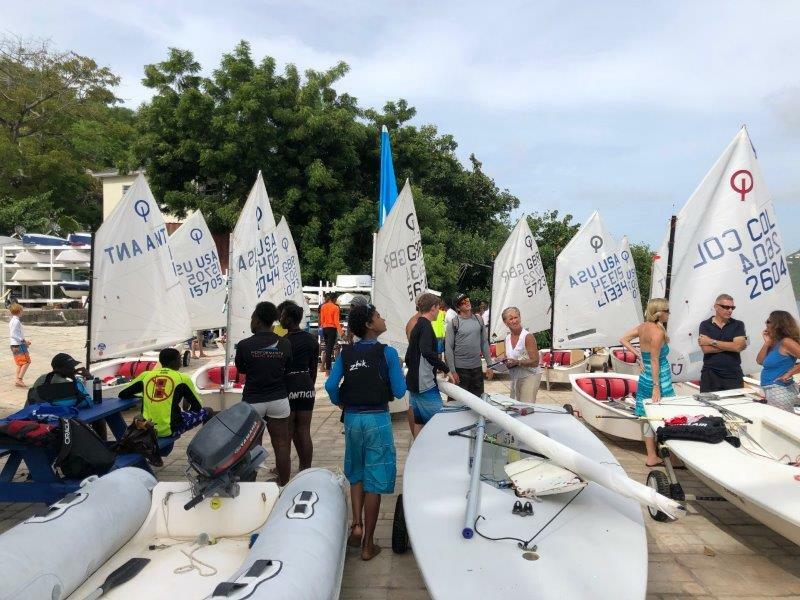 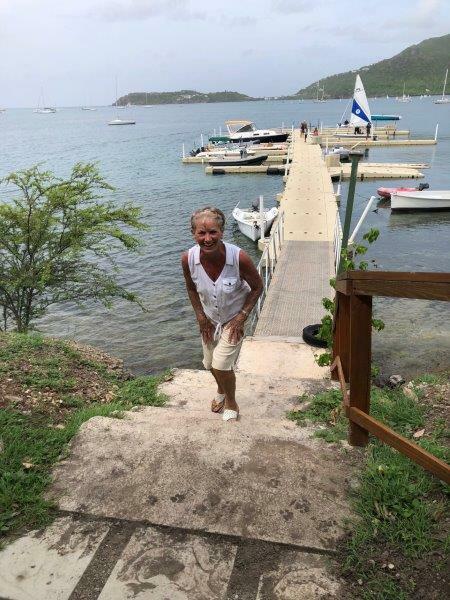 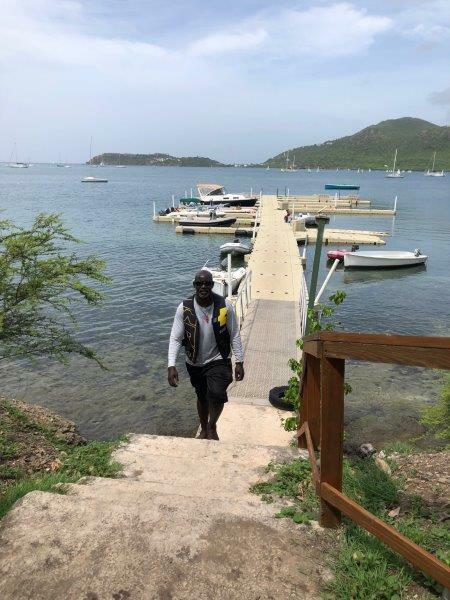 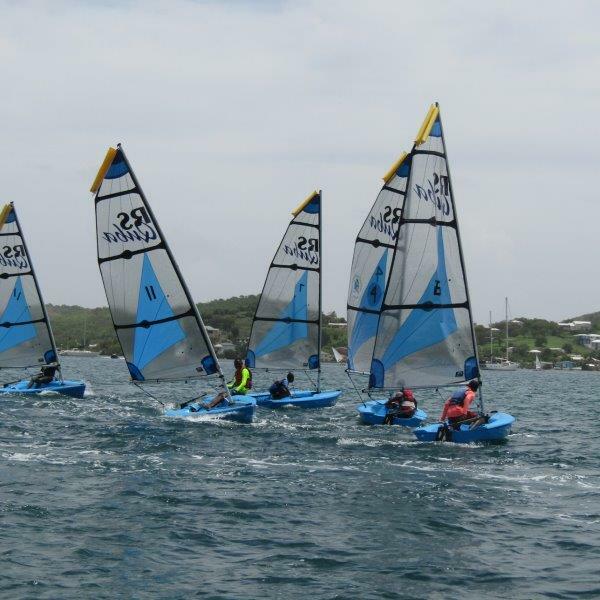 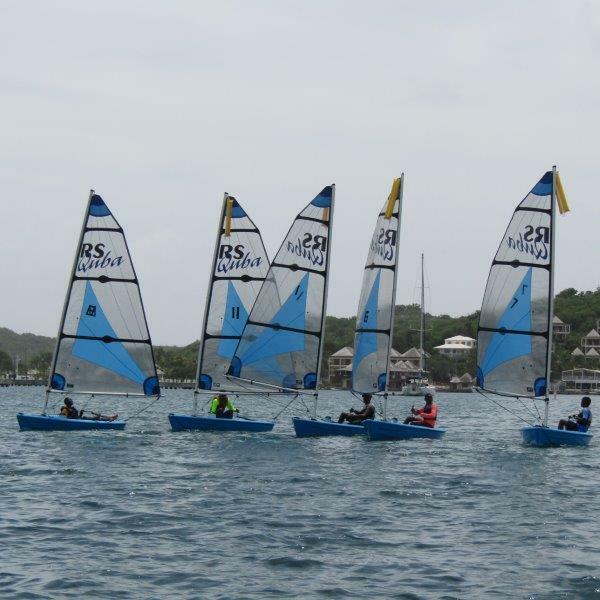 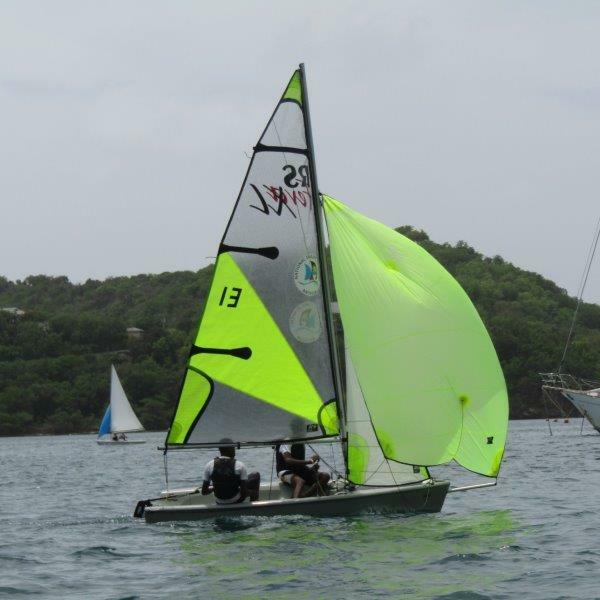 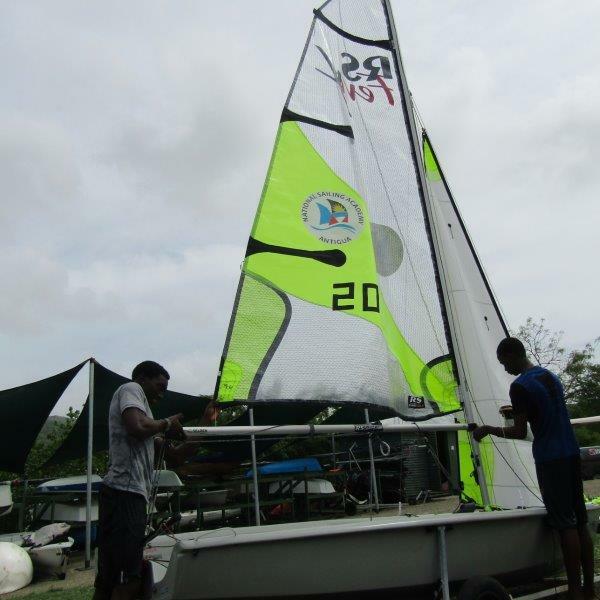 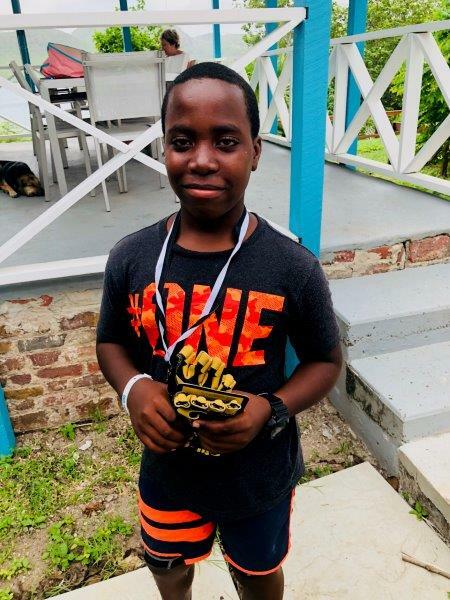 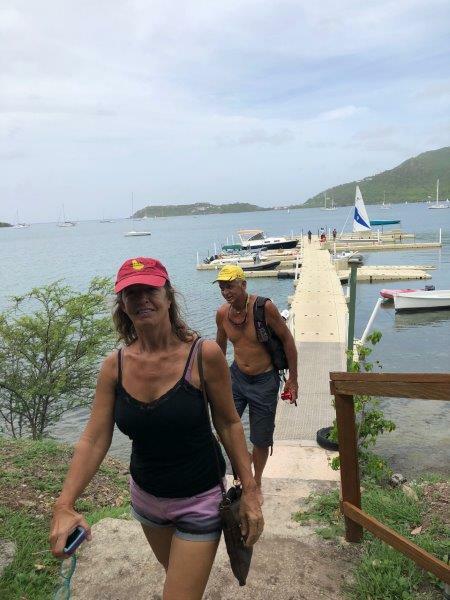 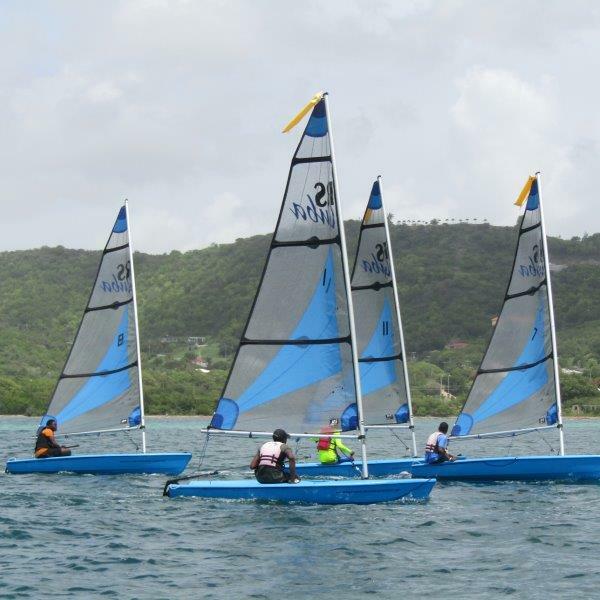 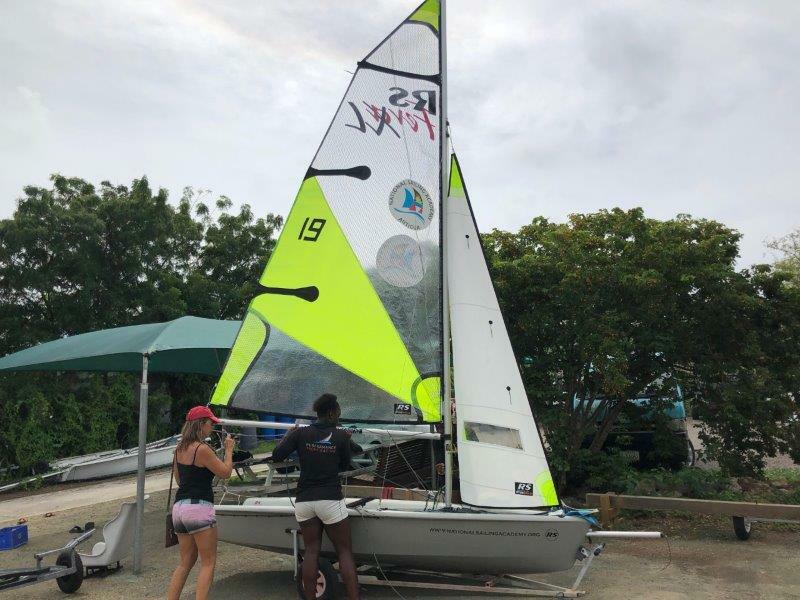 ‘ A comment that for Elizabeth Jordan, event organizer and President and Founder of the National Sailing Academy, is really positive, ‘The mission of the Academy is to give every Antiguan, especially young Antiguans, the opportunity to learn to sail. 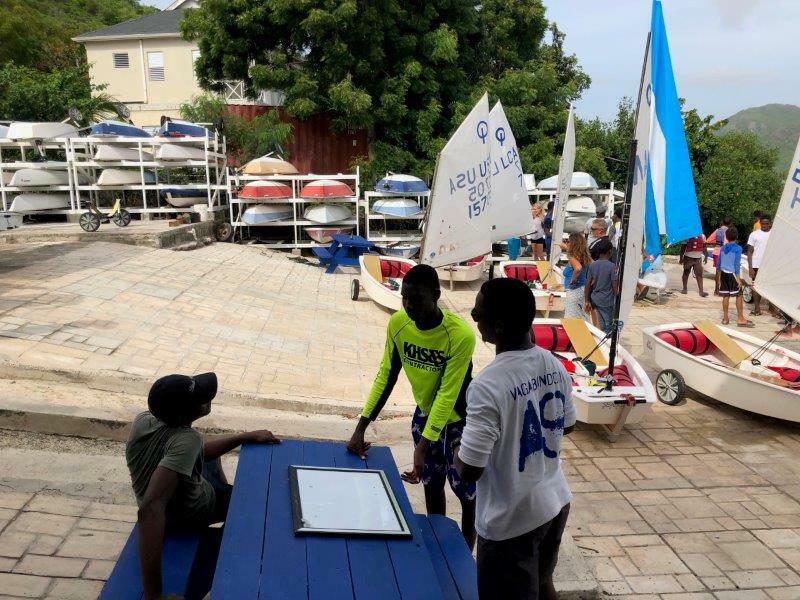 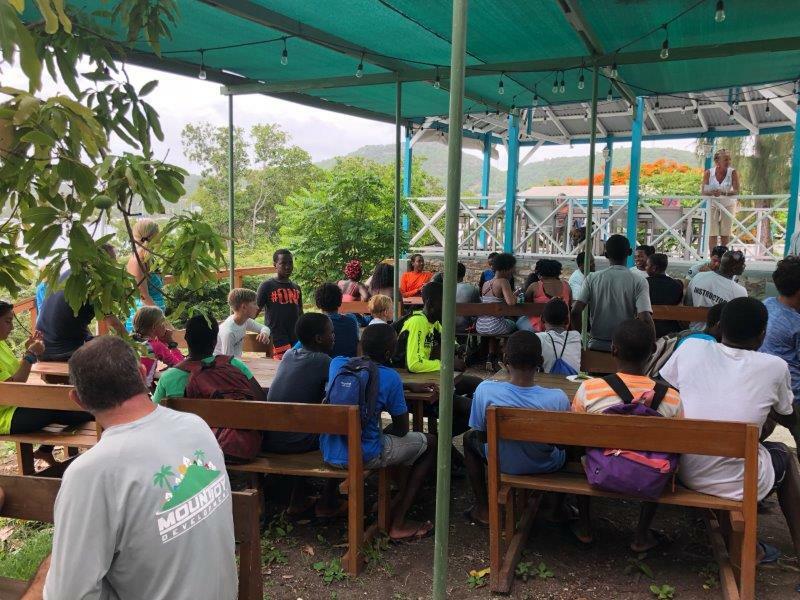 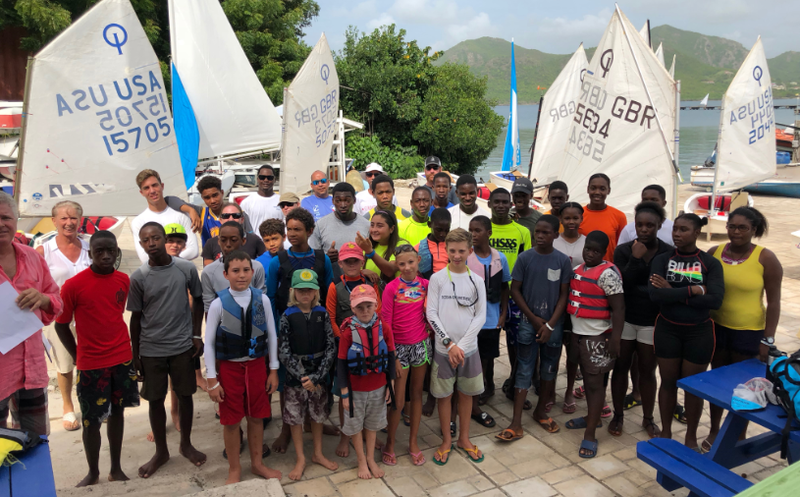 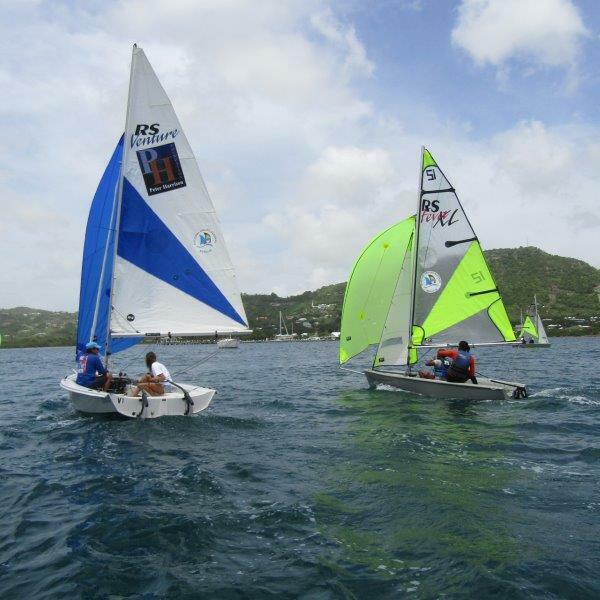 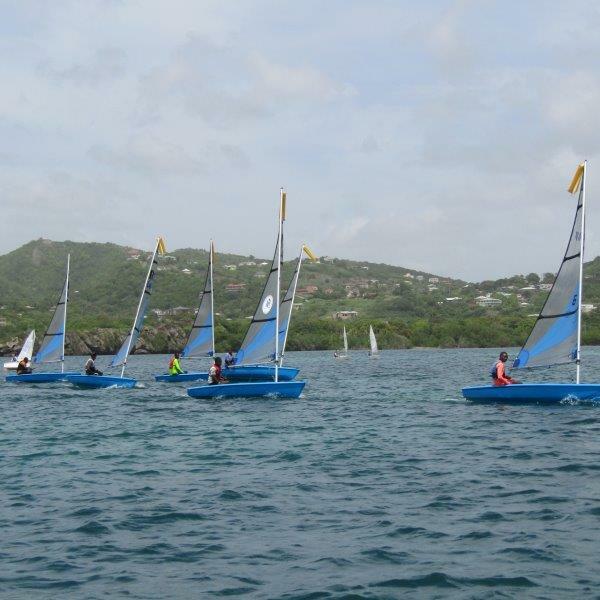 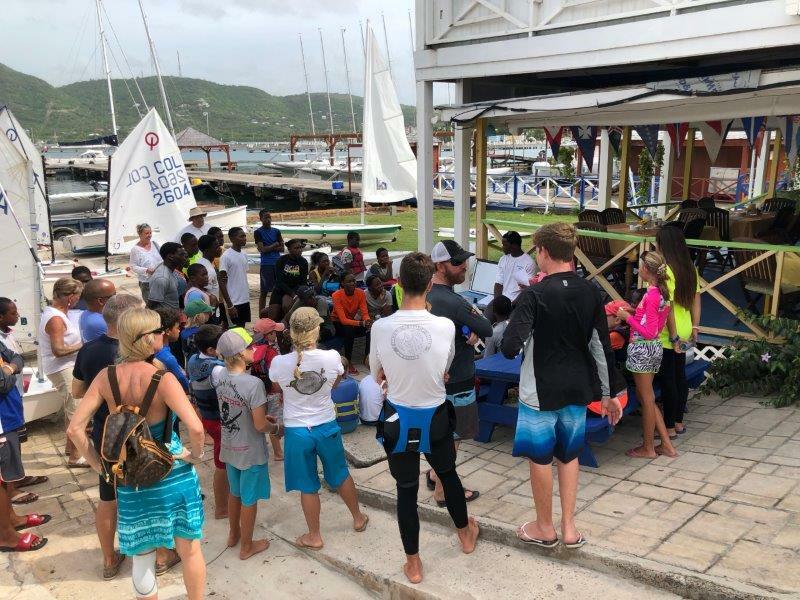 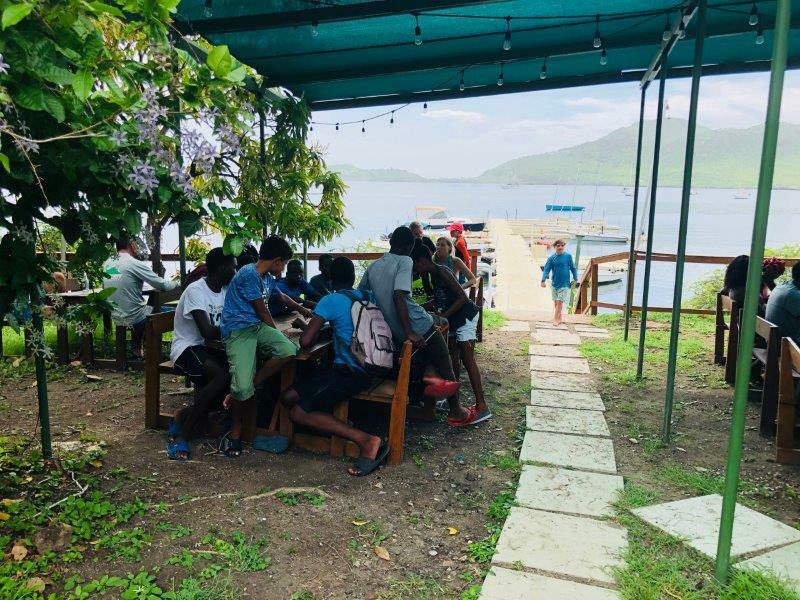 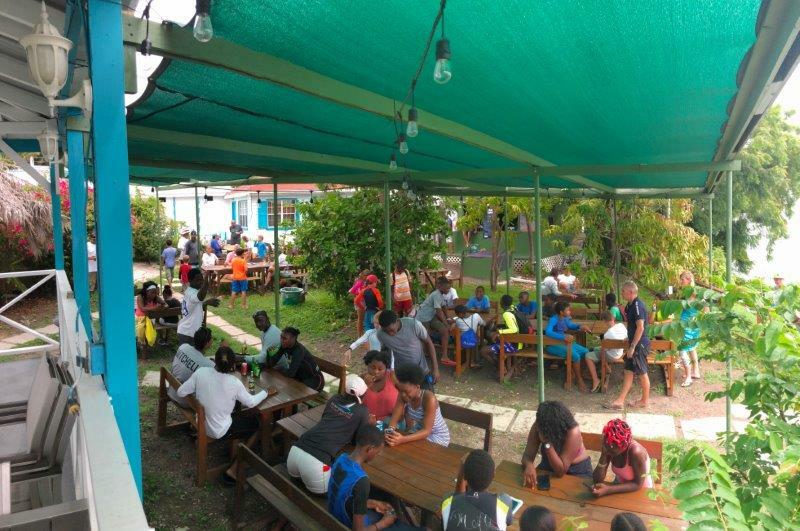 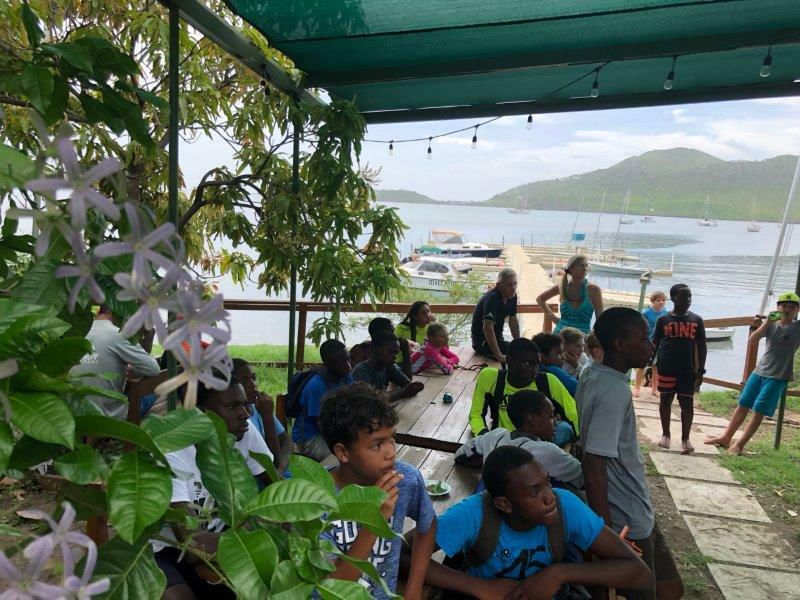 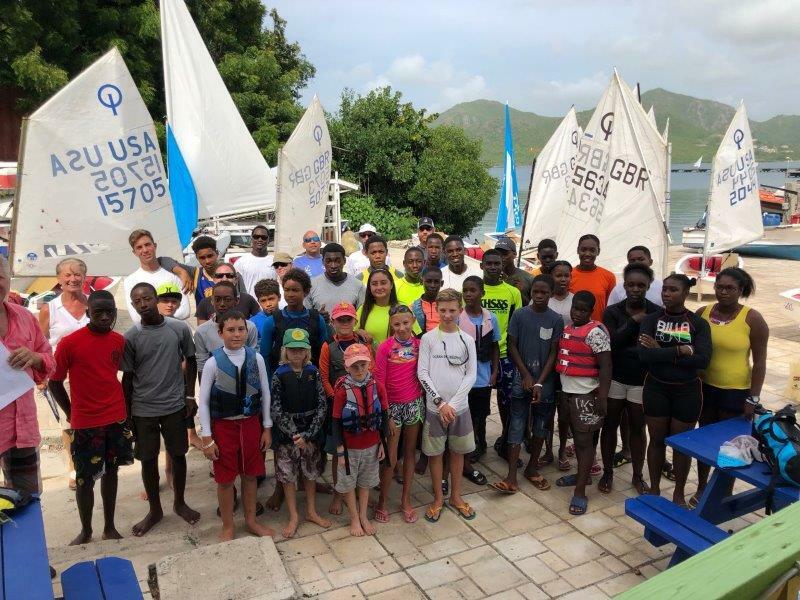 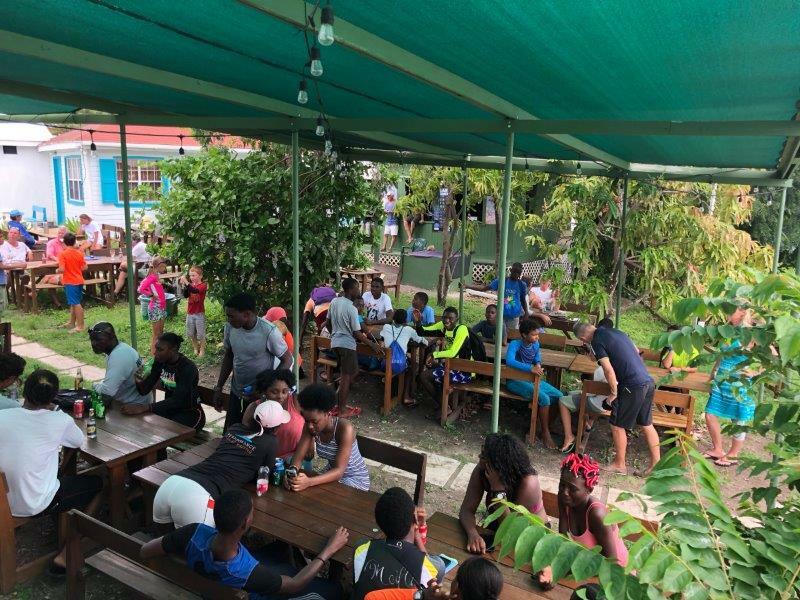 Whether they continue in the sport or not the Academy offers the opportunity for children at no cost to experience sailing and long term this delivers a very positive economic impact to Antigua and Barbuda and is very in line with the objectives of the Andrew Simpson Foundation (ASF), creators of the event. 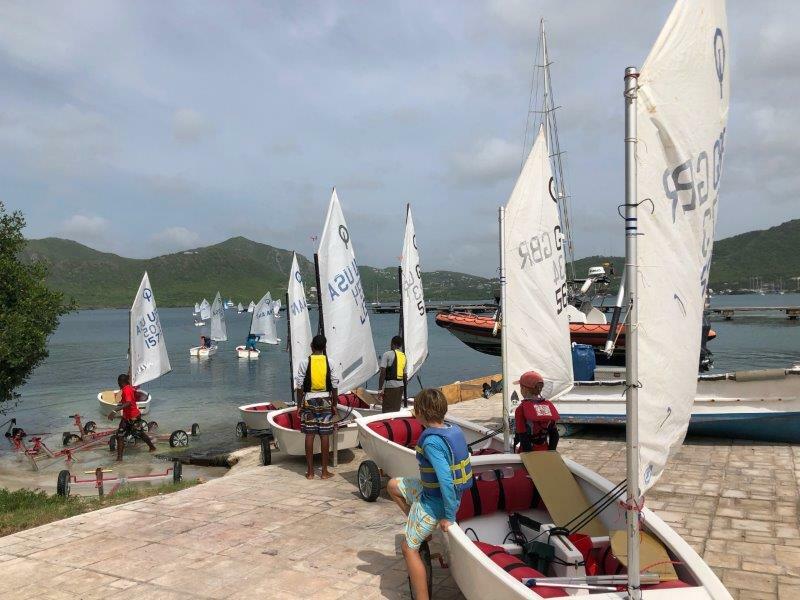 Barts Bash is used as an annual memorial to Andrew Simpson and a fundraising and participation campaign to allow the foundation to achieve its charitable aims each year. 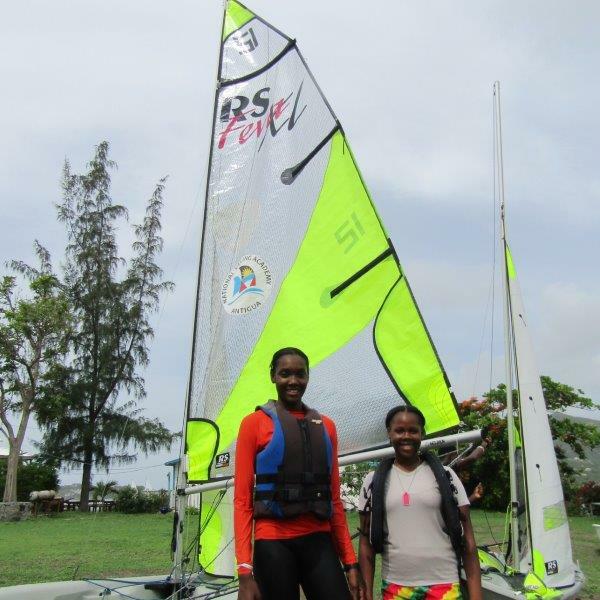 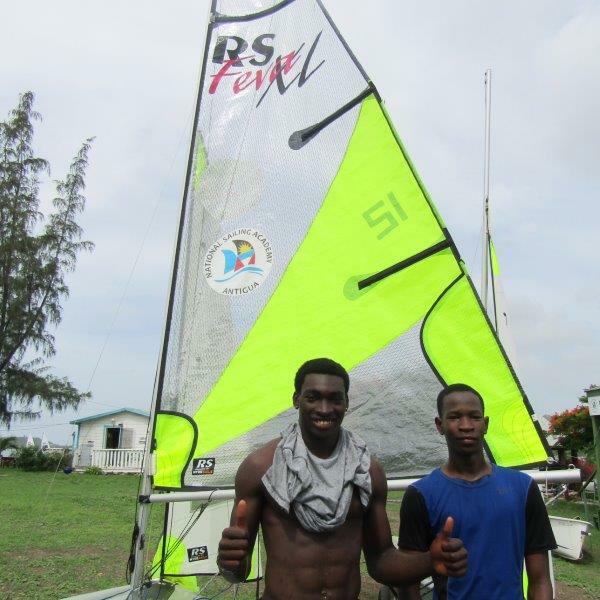 The ASF is dedicated to increasing participation and improving lives through sailing. 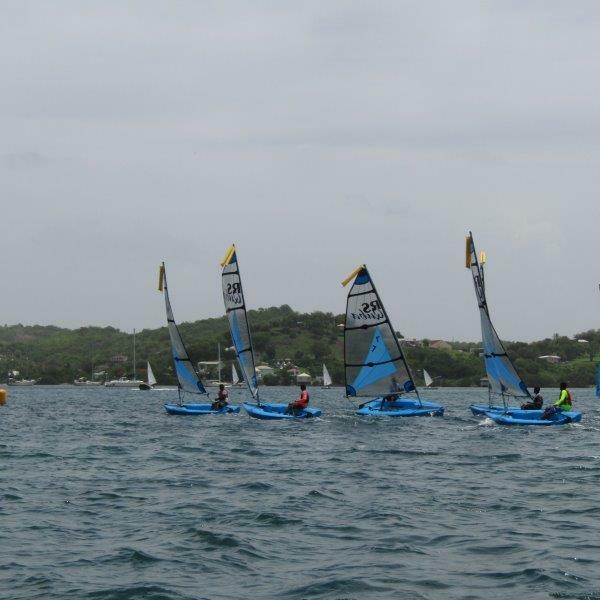 Check out the full gallery of the day below.